cup-a-caker | Stay Calm, Have A Cupcake! Handling life one sweet treat at a time. 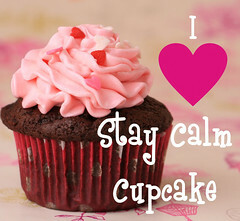 Stay Calm, Have A Cupcake! One of the reason’s I started this blog, aside from sharing my passion for baking (and all things cupcakes!) was to create a venue wherein ideas are shared, passions are explored, and resources are given often. Over the past couple days I have contemplated deleting my ranting and raving Mel Gibson blog – It just doesn’t seem to fit into my overall goal of what I envisioned my blog to be about. But since I think it might hold some validity for someone (even if it’s only one woman) out there, I am going to leave it. Well that’s all for now. If you have purchased or tried any of these products and have reviews, please let me know. I’m always interested in what works and what doesn’t. Stay Calm Cupcake on the News!